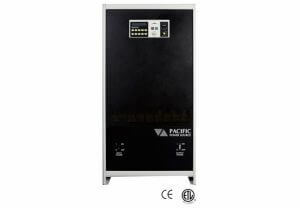 Pacific Power Source designs and manufactures both linear and switched mode (PWM) AC Power Sources. We provide technically advanced, reliable, and cost effective standard and custom precision programmable AC Power Solutions that feature fast transient response, tight regulation, high peak current capability, no switching noise (linear) and low switching noise (PWM switching) models and low output impedance. Our Linear AC Power Sources (AMX Series & G Series) produce low-distortion, high fidelity, output waveforms. The advantage of linear amplification is its ability to faithfully reproduce oscillator waveforms with very high small signal bandwidth and low output distortion. ASX Series, AFX Series, MS Series offer very good power density, high efficiency, and perform well into low power factor loads. They use a combination of both linear and non-linear methods to achieve high efficiency conversion in lighter and smaller packages. For detailed product information, click on the “View this Series” shown under each product family listed below or Contact Us Directly or Try Our Live Chat. Pacific Power Source’s Application Engineers are available to discuss your AC Power Requirements and help in selecting the right power source for your application. 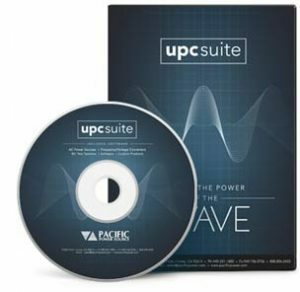 Pacific Power Source’s UPC Studio and the all new PPSC Software (for AFX series only) allows exceptional Control of your Pacific AC Power Source. Want to rent any of our products instead of purchasing? 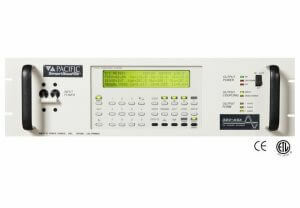 Pacific Power Source has a special arrangement with Caltest Instruments USA to provide rental services. High performance linear AC power sources combining fast transient response time & high current crest factor with extremely low output impedance & distortion. Fully featured, switch-mode AC Power sources. 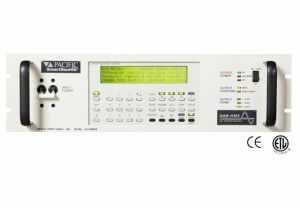 Cost effective and fully programmable for both basic frequency conversion and power line disturbance test applications. 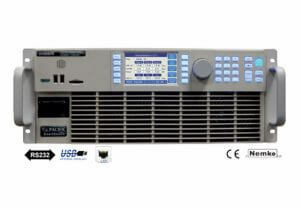 High Power, digital control, solid-state AC, DC and AC+DC Power Sources. Available in power levels from 9 kVA to 150 kVA. High Power, digital control, solid-state AC Power Sources. Available in power levels from 15 kVA to 90 kVA. High Power solid-state AC Power Source/Frequency converter. Up to 10 MS series cabinets can be paralleled in the field to form a 625kVA/500kW system.